Let's do some splat painting! 2. Cut off the feet from your stockings. Fill them with corn kernels and tie them up. Now you've got a splat painting brush! 4. Pour your paint onto a paper plate and then go at it! The corn kernels give the paint such a cool texture! Plus, what kid doesn't love whacking things! 6. Grab some markers and add cute faces! And now, let the Halloween activities continue! 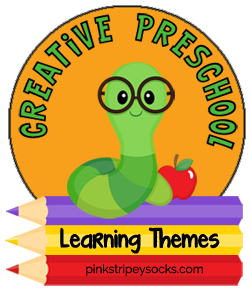 Here are 4 more great Halloween activities from the other Creative Preschool Collaborators! 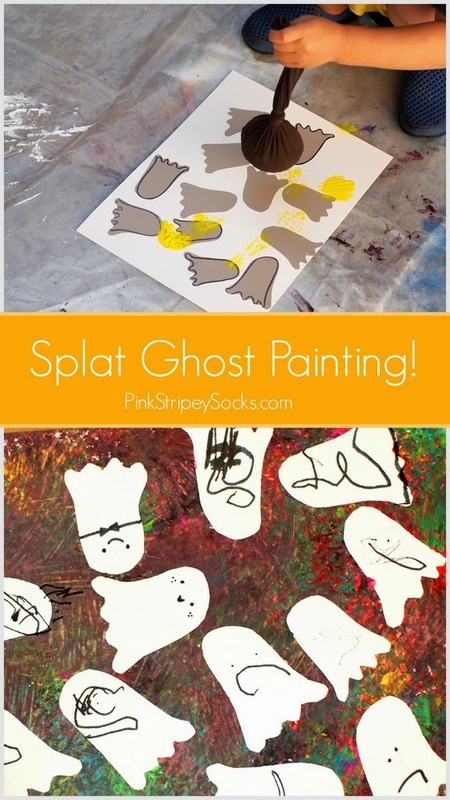 Oh my gosh, I want to do splat painting. I could never be sad if I lived in your house. :) I'm so glad you liked this craft! Thanks for visiting Miss Judy!